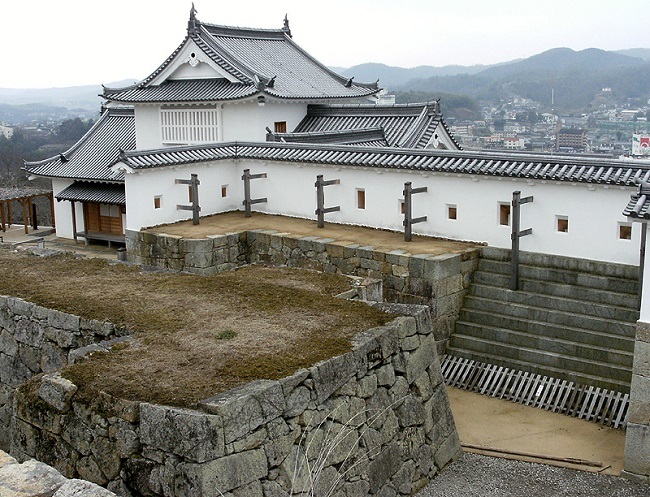 Tsuyama castle is where Tadamasa Mori, the youngest of Nobunaga Oda’s Kosho – 3 brothers of Mori (Ranmaru, Bomaru, Rikimaru), resided. 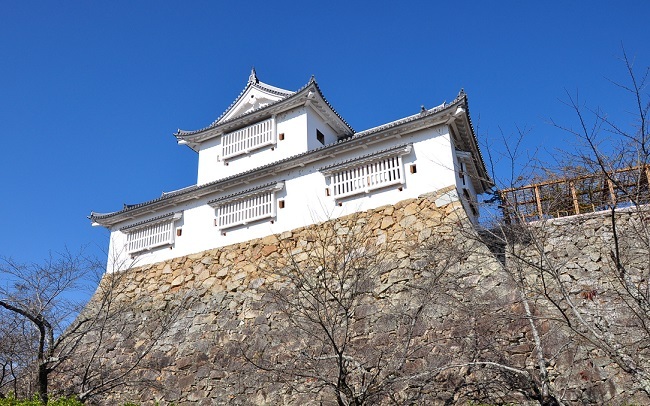 Tsuyama castle was in Tsuyama-shi in Okayama prefecture. The ruins of the castle is registered as a national historic site. 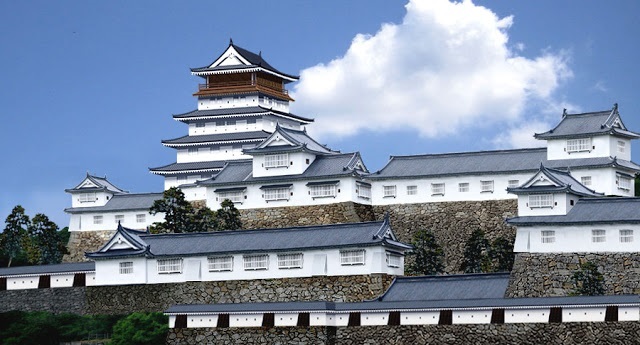 The form of the castle is flat mountain castle, and it is one of the three largest flat mountain castles in Japan. 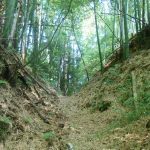 It is located in the center of Tsuyama basin, and Miyagawa river which is a branch river of Yoshii river and the natural cliffs of a hill are used as protection. 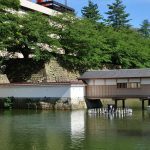 Yoshii river that runs on the south side of the castle and its branch river, Ida river, that runs on the west side are the outer fence, and inside there is a main part of the castle town. 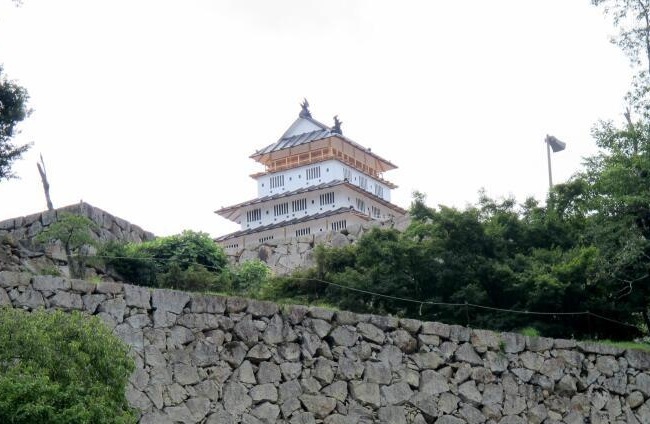 The Tenshu is a 4 tiered 5 story tower, and it is said that its was designed based on the castle tower of Ogura castle. 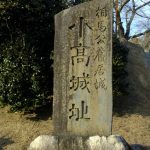 When Norikiyo Yamano, Shugo Daimyo of Mimasakanokuni (current Okayama prefecture), ordered Tadamasa Yamana to build Kakusan castle was the beginning of Tsuyama castle. 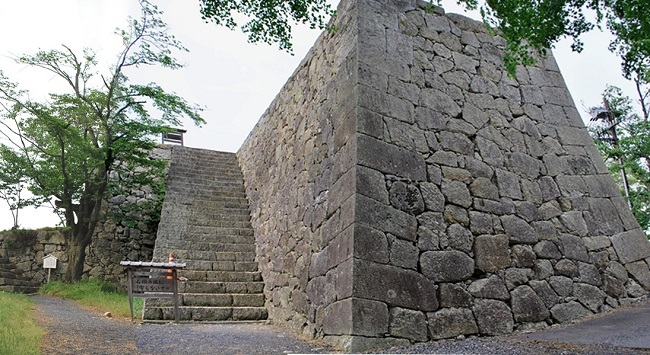 However, the castle was destroyed when the Yamana family fell into decline after Onin War. In 1603, Tadamasa Mori moved to Tsuyama from Kawanakajima for 186 thousand Koku, and established Tsuyama domain. ※Tadamasa served Nobunaga at the incident of Honnoji, along with Ranmaru, Bomaru, and Rikimaru. 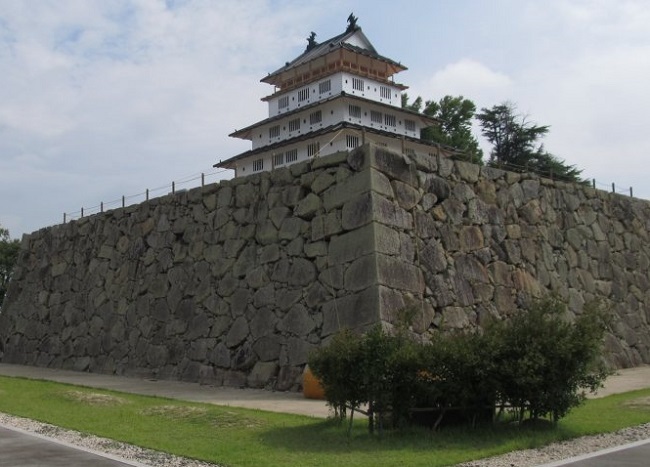 In the same year, Tadamasa started building Tsuyama castle and changed the name of the place from Kakuzan to Tsuyama. 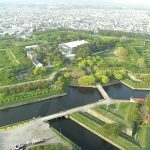 After 13 years, a large modern style castle that had 80 towers including 5 tiered castle tower, Yagura, and gates, was built. 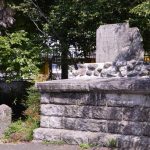 The descendants of Mori-shi continued to die at early an early age, and in 1697, the head of the domain at that time had a mental instability that led to the extinction of the family line. 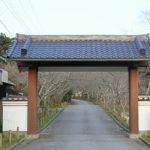 In 1698, Nobutomi Matsudaira (the Echizen family) moved from Echigo Takada domain for 100 thousand Koku, and became the owner of the castle until the Meiji restoration. 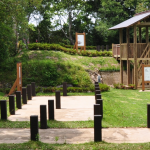 Bicchu Yogura has been restored, and it was registered as the 67th castle of Japan’s 100 famous castles. A replicated castle tower was also built temporality and it’s been attracting many tourists in the recent years. 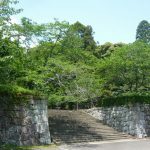 The ruins of the castle is now a park called Kakuzan Park, and it has been famous for cherry blossoms. 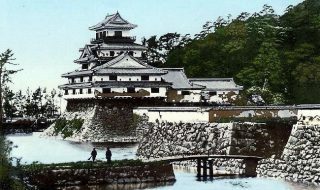 ※67th of Japan’s 100 famous castles.